Pair by the sea. Porcelain shards, fired clay. Blue & White porcelain shards flower. No.1, 2014. Porcelain shards, fired clay. 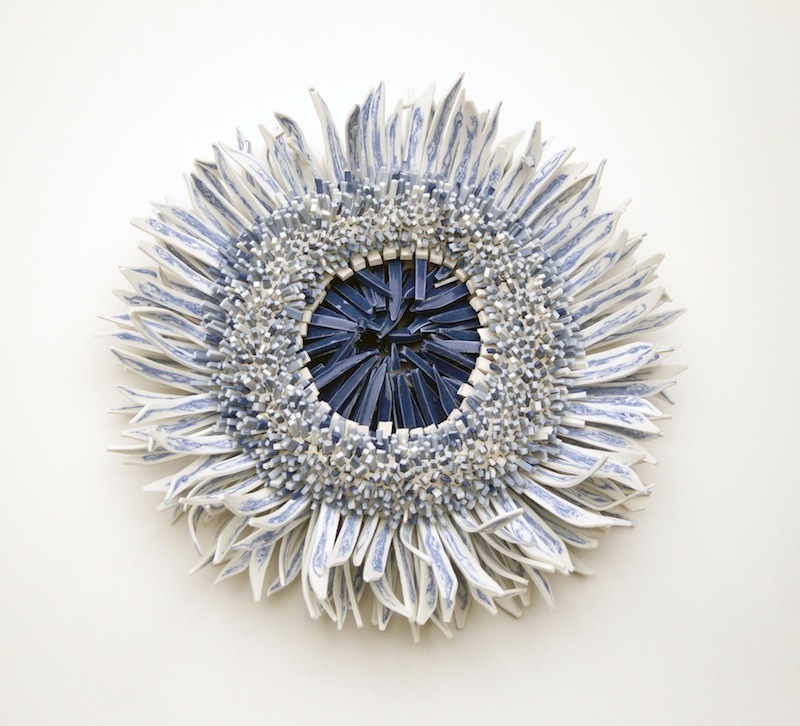 Blue & White porcelain shards flower. No.2, 2014. Porcelain shards, fired clay. Blue & White porcelain shards flower. No.3, 2014. Porcelain shards, fired clay. Peled was recently shortlisted for the Young Masters Art Prize which opens today Sphinx Fine Art in London, and she’s currently a long term resident at the Archie Bray Foundation. You can see much more of her work in her portfolio.